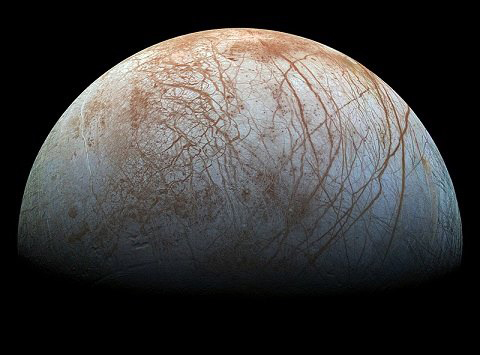 Europa may have the best chance of life within our Solar System. Europa, one of the 69 moons of Jupiter, reveals many crack like features. It has criss crossed layers, leading to theories that below the kilometres of surface ice lies a global sized ocean. 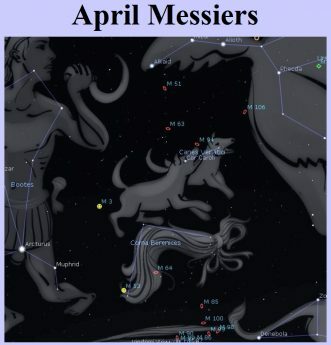 It is one of our best opportunities to find life elsewhere in our solar system. Europa is slightly smaller than our moon, with a smooth and bright surface, and long linear fractures crisscrossing a surface of water ice. 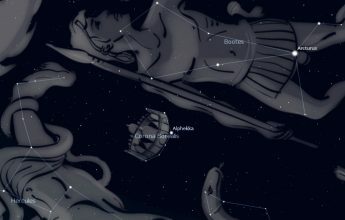 Discovered by Galileo in 1610, it is thought to have an iron core like Earth. 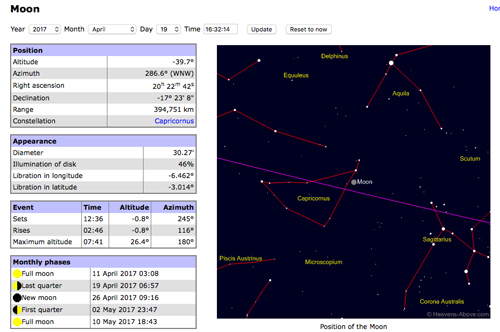 It is the second closest moon of the 69 known moons orbiting Jupiter. 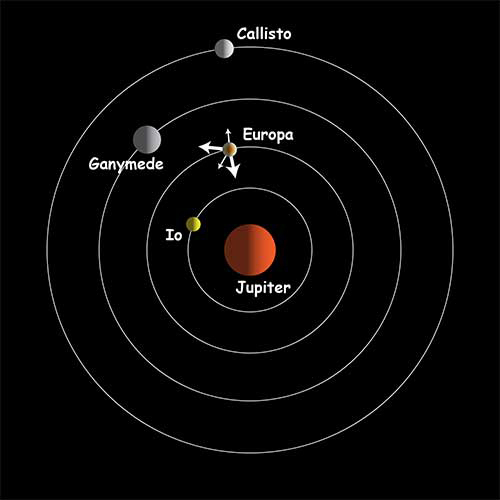 The conflicting gravitational pull of Jupiter, Ganymede, Io, and Callisto means that Europa’s orbit changes. 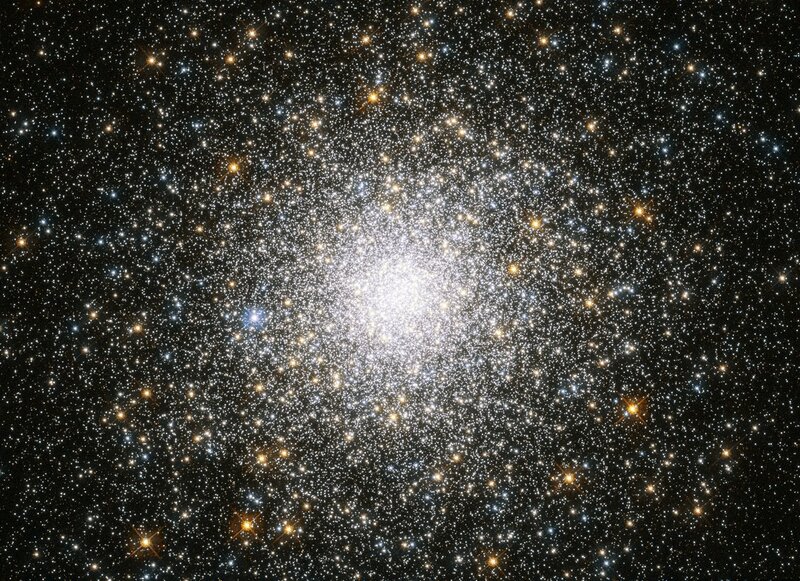 The gravitational pulls produce heat, deep within the suspected ocean surface and on the ice surface itself. 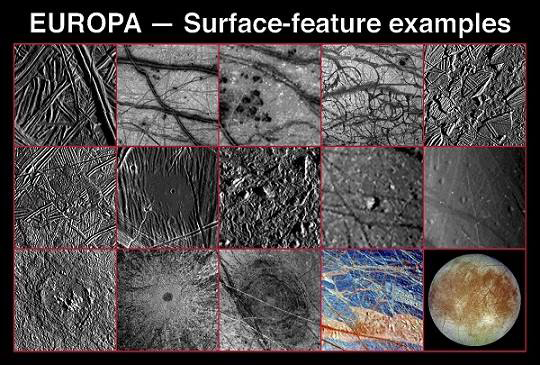 Above are some of the examples Europa’s surface. 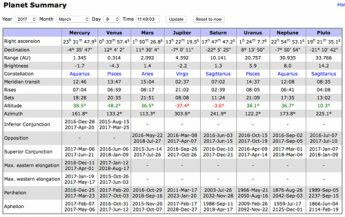 On it’s 3 ½ day elliptical orbit, mighty Jupiter’s gravity tends to create tides that flex Europa’s surface. 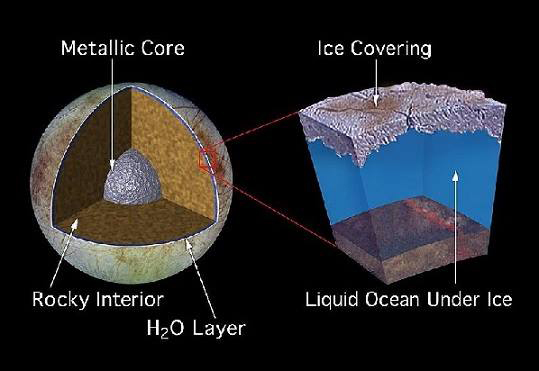 Flexing causes fractures in Europa’s icy surface, adding heat to the suspected ocean below. 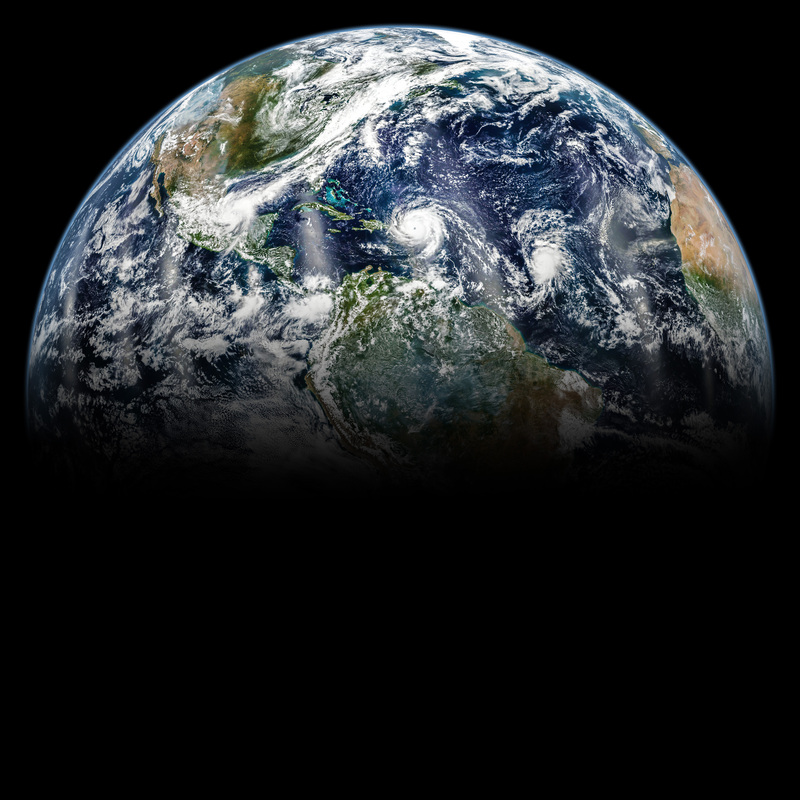 These tides may also cause hydrothermal or volcanic venting, similar to what happens at the bottom of our oceans, which could supply enough nutrients to support life. 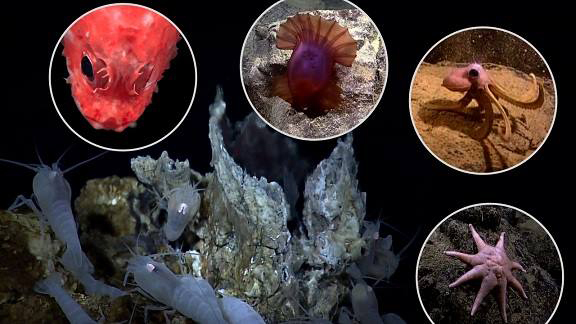 We know that sunlight can’t penetrate Europa’s surface, but life at the bottom of our oceans doesn’t receive sunlight either. 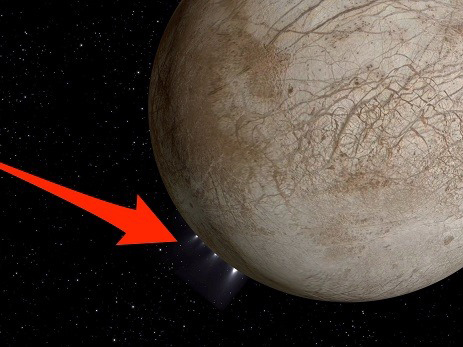 In 2013, NASA announced that Europa might be actively venting water into space. Because Jupiter’s magnetic field is disrupted around Europa, a special magnetic field may be created by a deep layer of fluid below it’s surface… a global ocean of salt water over 10 times deeper than our oceans. Although several missions have already completed “fly bys” of Europa, future missions will try and provide evidence of a global sized ocean. 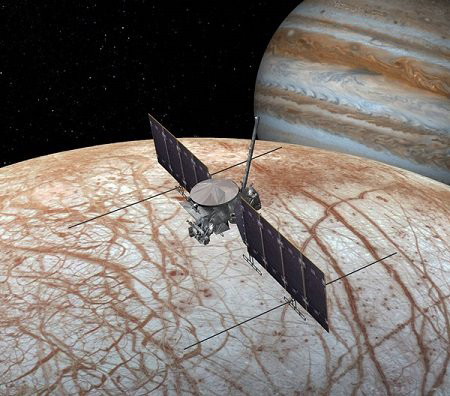 The most likely mission is now in the planning stages… the “Europa Clipper”, scheduled to launch in the mid 2020’s. 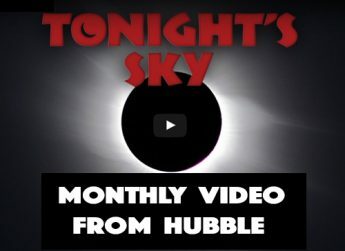 If you go to a star party or astronomy outreach event, seeing the rings of Saturn, the Moon, or the moons of Jupiter for the first time through a telescope is unforgettable. 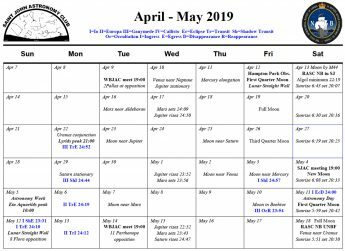 The Saint John Astronomy Club hosts several events throughout the year. 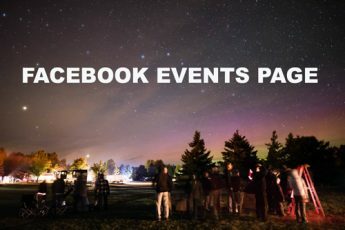 Many of these events are at Rockwood Park and Irving Nature Park–see our Upcoming Events page. 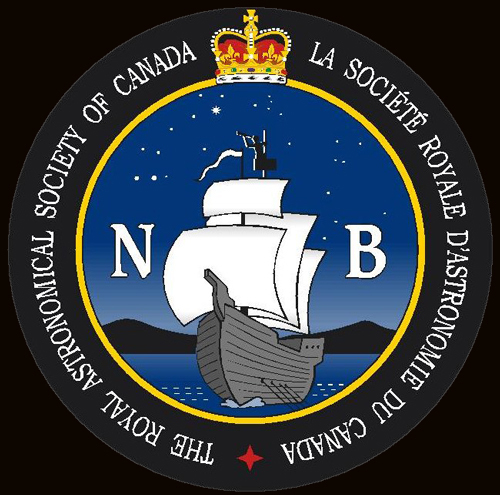 RASC New Brunswick, the provincial branch of the Royal Astronomical Society of Canada, also hosts five star parties within the Province, four of which are at designated Dark Sky Preserves. 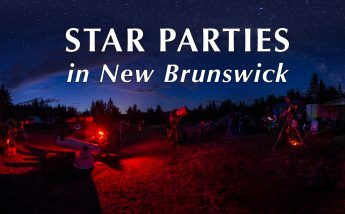 For an overview and upcoming dates see our Star Parties of New Brunswick page.